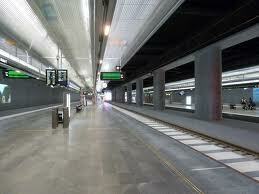 Irish rail users will be interested to note that the Malmo rail tunnel in Sweden has opened last month. 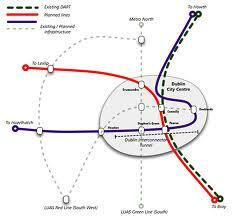 This project is very similar to the proposed Dart underground scheme currently being designed for Dublin. The new Malmo rail tunnel runs below the city centre for 6 km and is part of a new 17km section of track which transforms Malmo Central Station from a terminus to a through station. Just to explain, a terminus station is a type of train station which has very poor capacity. The arriving trains have to stop and reverse out of the station, with the driver having to walk the length of the train to start the next journey, as compared with a through station where the trains simply stop to let passengers on and off and then continue on their way. By changing Malmo Central to a through station the tunnel substantially increases the capacity of Malmo Central Station while also allowing for the construction of two new train stations one of which will be located much closer to the centre of the city. Malmo is Sweden’s third largest city and it is the closest to Denmark. Therefore this rail project will also increase the rail capacity to and from the spectacular Öresund Road and Rail Bridge, which links Denmark to Sweden across the Baltic Sea. Construction commenced in 2005 and the works were finished six months early and 10% under budget. Heuston Station in Dublin is also a terminus station and like Malmo Central is relatively remote from Dublin city centre. 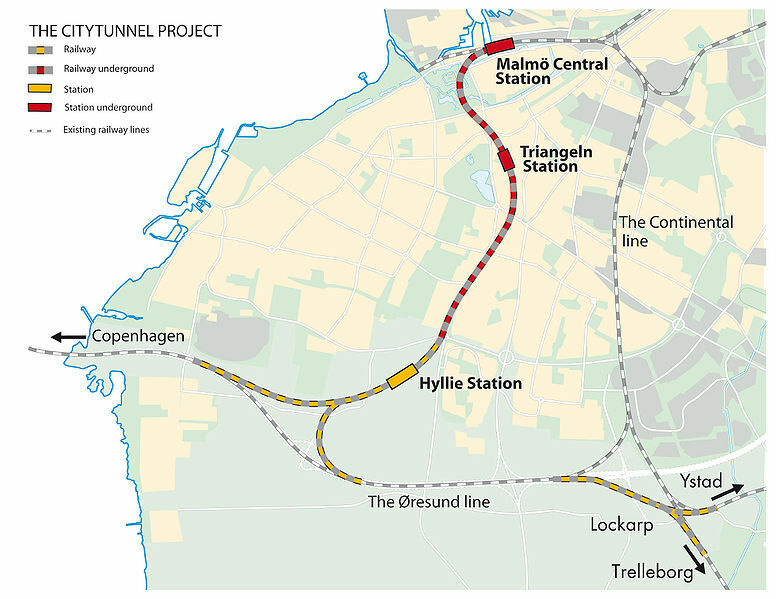 Irish rail also have plans to do make it a through station like Malmo Central, with a similar twin track underground tunnel that will be slightly longer than the Malmo tunnel and will have more underground stations. The project is called Dart Underground. The design work is preceding despite the Irish governments financial difficulties. No completion dates have been announced yet, but the original planned completion date of 2015 will not now be met. 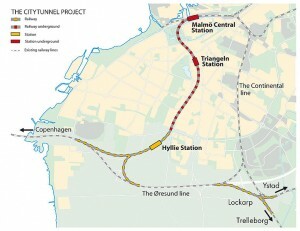 As with the Malmo scheme this tunnel will increase the city centre rail capacity on Dublin’s existing routes. The train capacity of the existing DART and Kildare lines will be doubled, while the Maynooth line’s capacity will nearly treble. I hope this scheme gets the go ahead and that short term funding difficulties don’t hold up a project that will bring huge long term benefits. Ireland has suffered previously from cancelling infrastructure projects during downturns and then suffered the consequences of over loaded and inadequate infrastructure during the next upswing in the business cycle. In fact, Dublin’s DART line was originally meant to be part an extensive DART network radiating from the city centre; however all the other planned lines were cancelled when a previous recession intervened, and only the cheapest option was completed (electrifying an existing rail line to commuter standard, but with reduced capacity as it is shared with other long distance trains). Well done to Sweden for thinking long term and constructing a difficult engineering project ahead of schedule and below budget, I hope to travel on it one day. If any of our few Swedish readers have used it, don’t be afraid to share your experiences by commenting below. For more information on DART underground, See http://www.irishrail.ie/projects/dart_underground.asp. Is the Dublin Metro going ahead? At the moment yes, but with no final contracts signed (due this year) and the elections now scheduled for next month that could change. The smaller party in the current coalition (the Greens) are pushing for the metro and they probably won’t be in the next Government based on current polls.